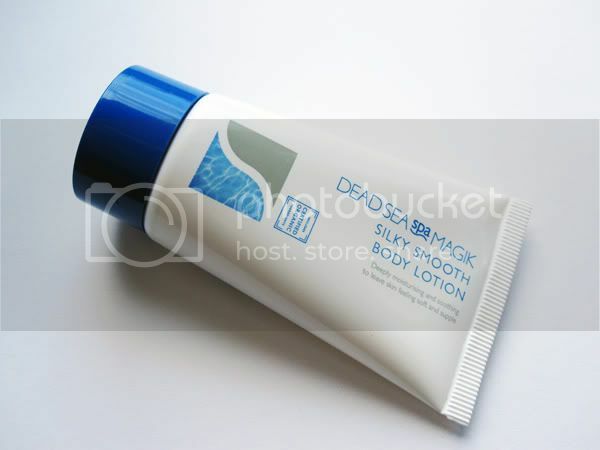 (1) Dead Sea Spa Magik Silky Smooth Body Lotion, 50ml travel size (full size 350ml - £7.70) - "this creamy and silky body lotion will leave your skin feeling deeply hydrated and nourished. It aims to improve elasticity whilst soothing and preventing dryness." This has a nice clean scent to it and does what it promises to do, a simple yet effective body lotion. 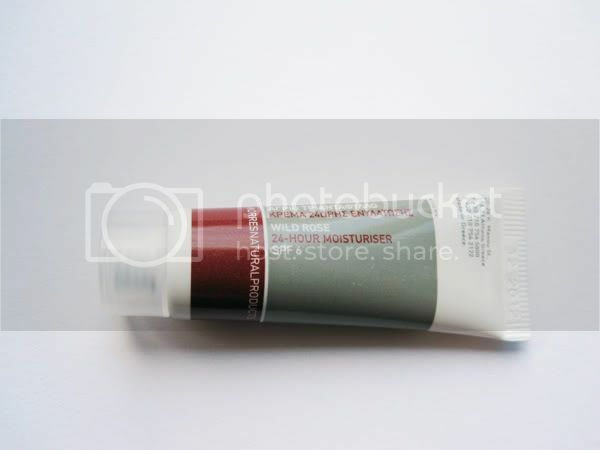 (2) Korres Wild Rose 24 Hour Moisturiser, 10ml sample (full size 40ml - £19) - "a 24 hour moisturising and brightening cream. The Wild Rose oil is a natural source of vitamin C and helps repair fine lines and uneven skintone." 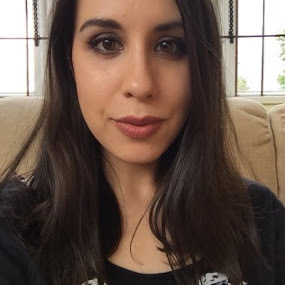 I have seen lots of great reviews for this and I've loved everything I've tried from Korres so this is a great sample for me to try before considering to buy the full size pot. 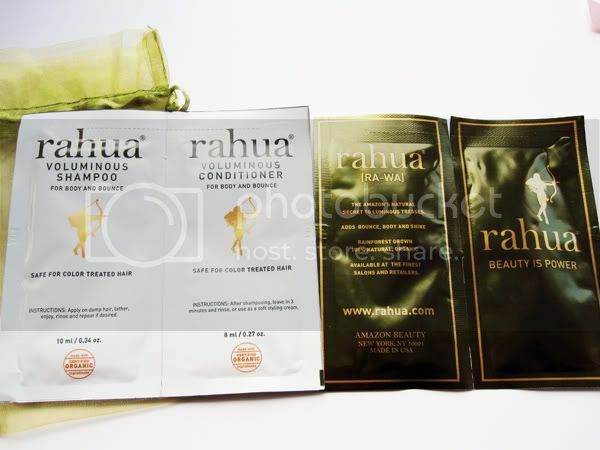 (3) Rahua Voluminous Shampoo and Conditioner, 2 x 10ml sachets & 2 x 8ml sachets (full size 275ml - £27/£28.50) - "create thick, glossy and bouncy hair with this 100% natural voluminous shampoo and conditioner. The lemongrass and green tea remove excess oils from the hair, whilst jojoba adds moisture and nourishment." 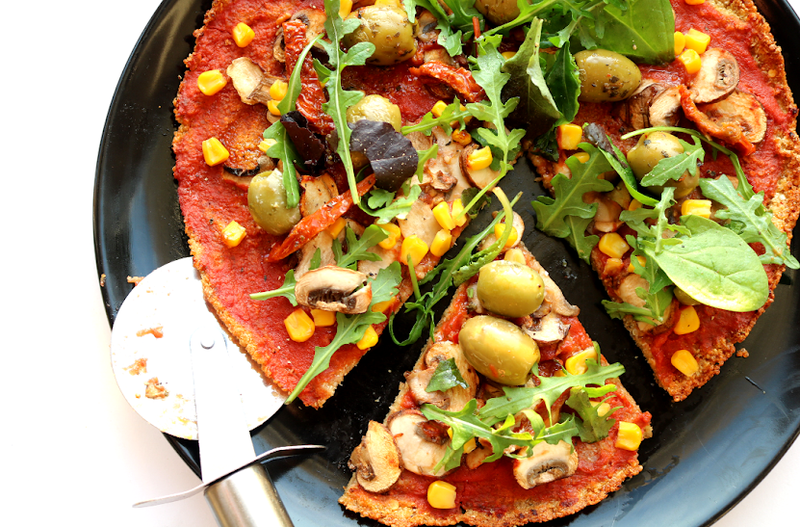 Interested to try these, they sound amazing. I haven't had the best experiences with all natural haircare in the past so I'm hoping these will work for me. 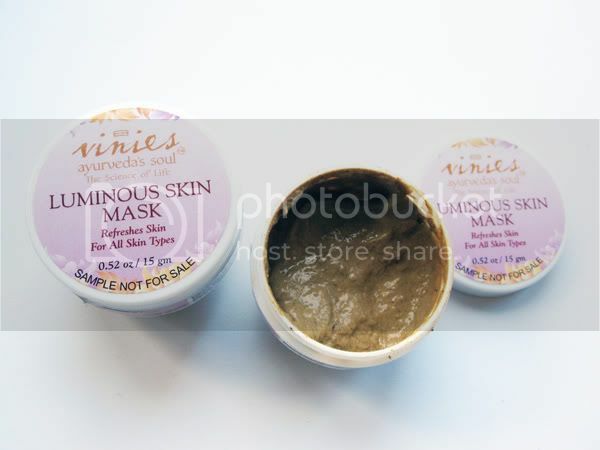 (4) Vinies Ayurveda's Soul Luminous Skin Mask, 2 x 15g sample pots (full size 40g - £32.85) - "as featured on vogue.co.uk, enhance your complexion with gentle exfoliating and natural skin brightening ingredients to keep your skin glowing all day." I know what you're thinking and I thought it too, it's not the most appealing product I've seen! Erm yeah.... it smells really weird too. I'll try it, luckily you only need to leave it on for 3-5 mins! 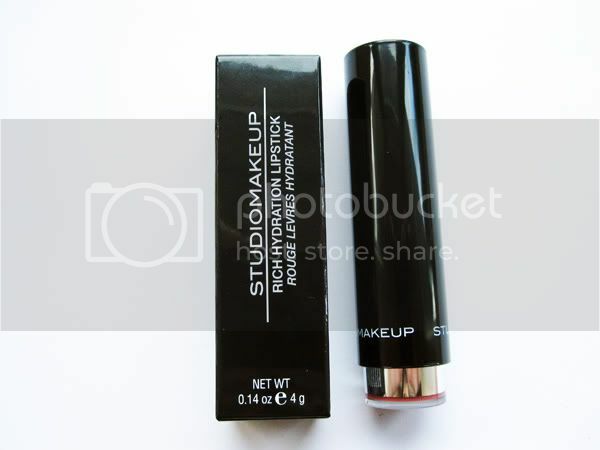 (5) Studiomakeup Rich Hydration Lipstick in Tender Pink, full size (£12.25) - Not really my colour, but if you like nicely pigmented frosty pinks then you'll probably love this. The packaging is very sleek and has a cute click mechanism. Summary: I know a lot of people don't like Boudoir Prive, but for me personally I really like them, especially the general quality of the items included. 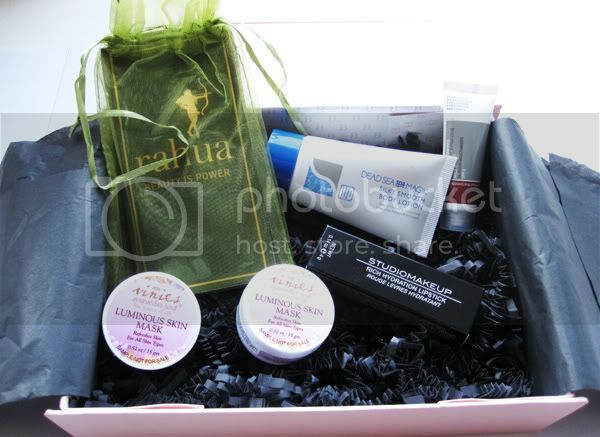 They always have products in their boxes that I want to try and will use, and I'm SO happy that this box doesn't have perfume samples in it! 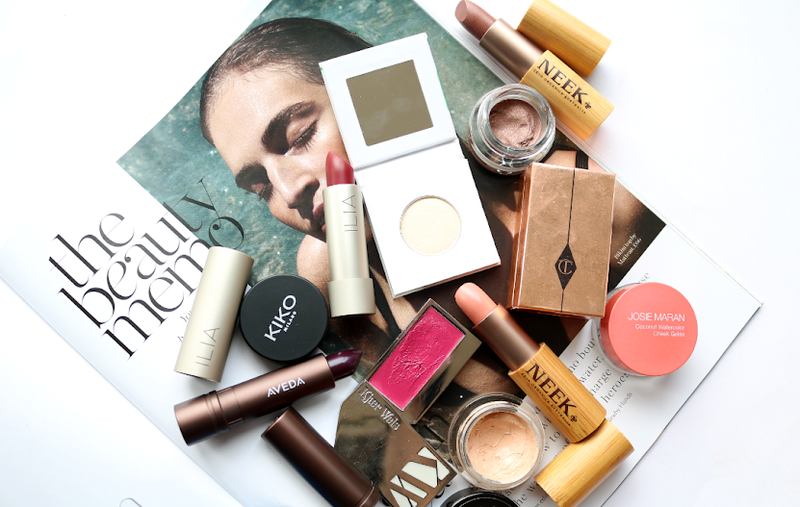 Fab review - I adored this months box too! Be careful with the mask though, I've heard that it can make your skin go red and a little sore! 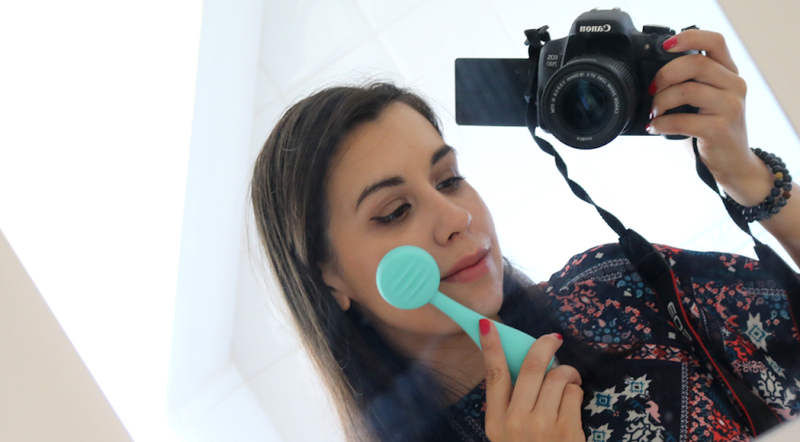 I tried the face mask and likely I didn't experience any nasty reaction. 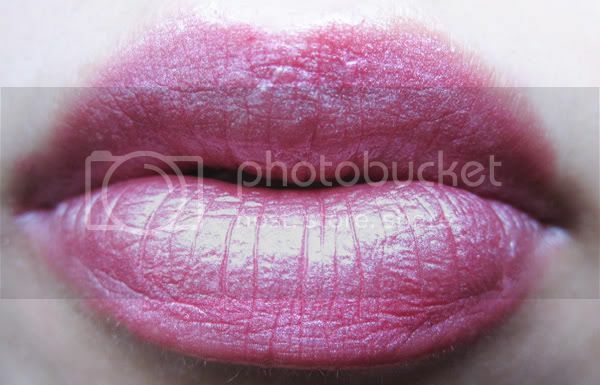 I read few girls were quite worried about the redness. Be safe and leave it for only 3mins the first time. I love the packaging for the lipstick, so fun haha. Im really worried about using the face mask though, it just looks awful!